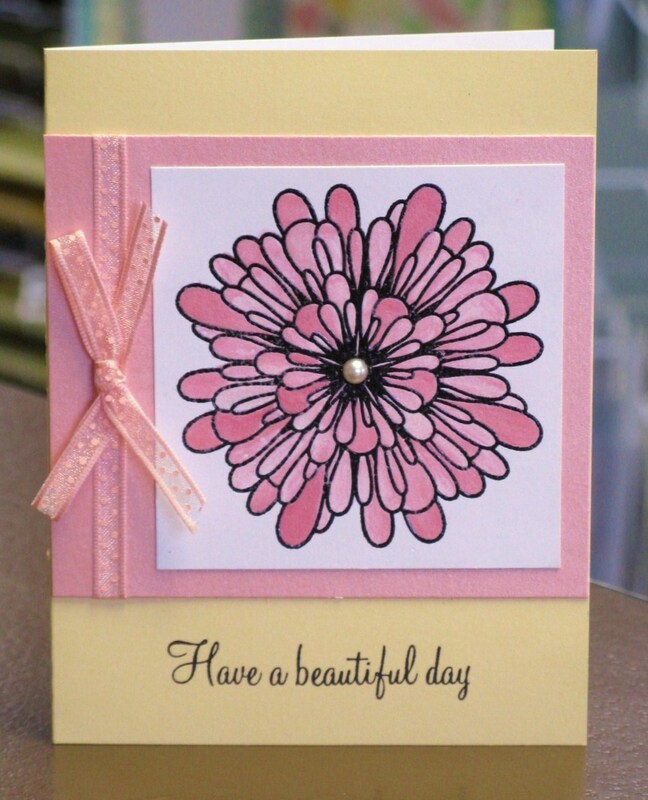 For this card we stamped the big marigold in black Versacolor ink and then embossed it with clear powder (I would recommend this over using black embossing powder, as I haven’t yet found one that works well). The image was coloured in with Smooch ink, which we dabbed on an acrylic block and used an Aquaflow H2O brush to pick up the colour. Once we were done colouring the whole image with the H2O brush, we went in with the actual Smooch applicator to apply more intense colour to some of the petals for dimension.